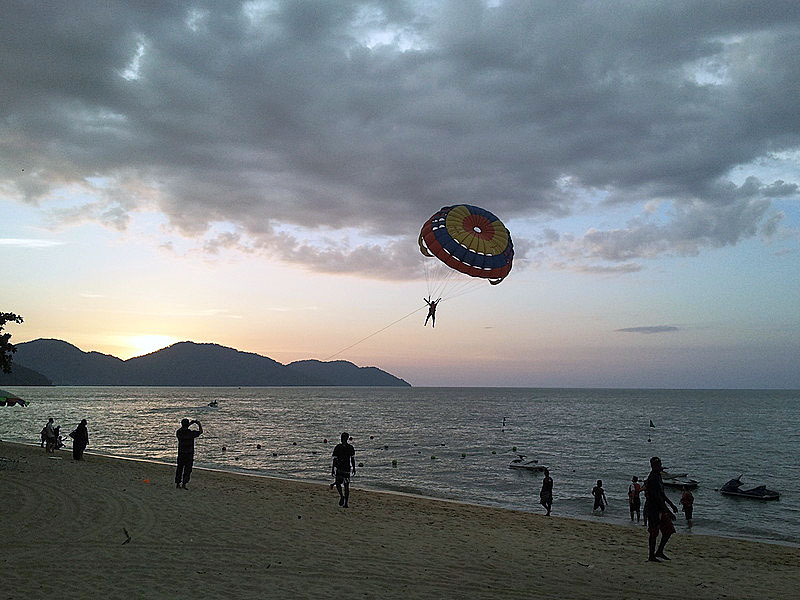 Para-sailing, is just one of the many exciting beach activities for the brave, in Penang. 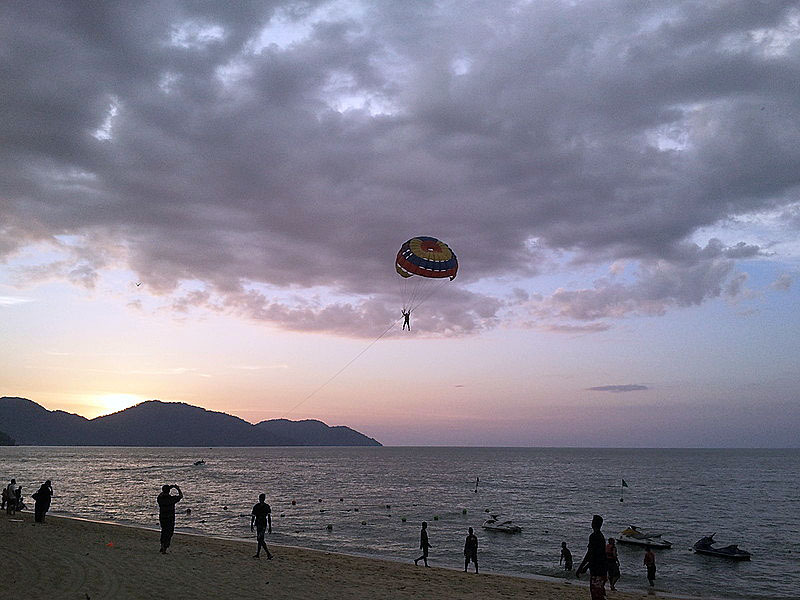 Available for hire at various points all along the Batu Ferringhi beach front, take up the challenge and strap up for a fun and thrilling ride of your life. 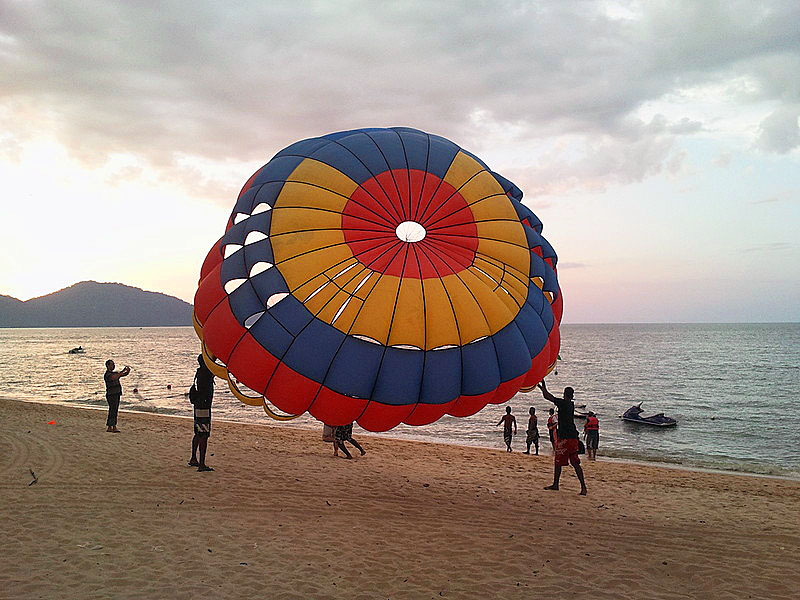 A ride in the air with a parachute, drawn by a motorized boat. You will get a crash course on how to maneuver and descend. 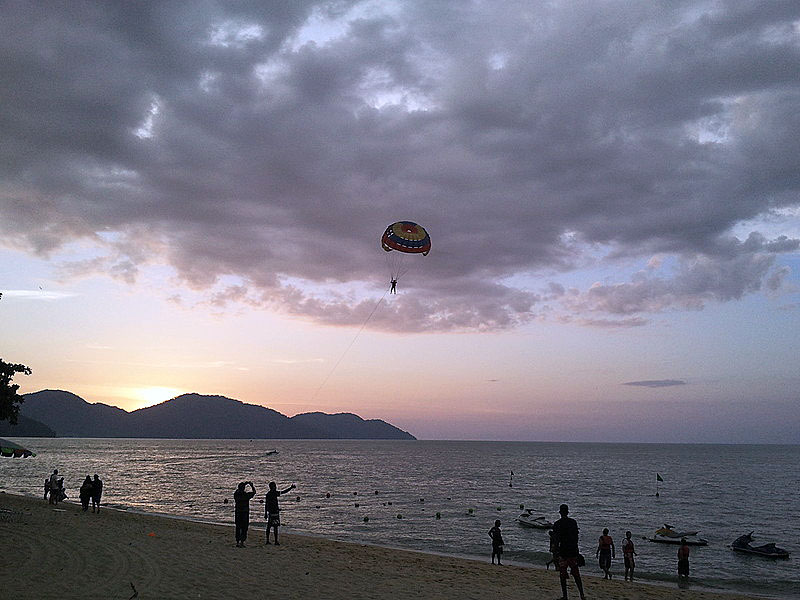 The boat will make its way out to the sea and circle around to help with your ascend to the air and your flight around. 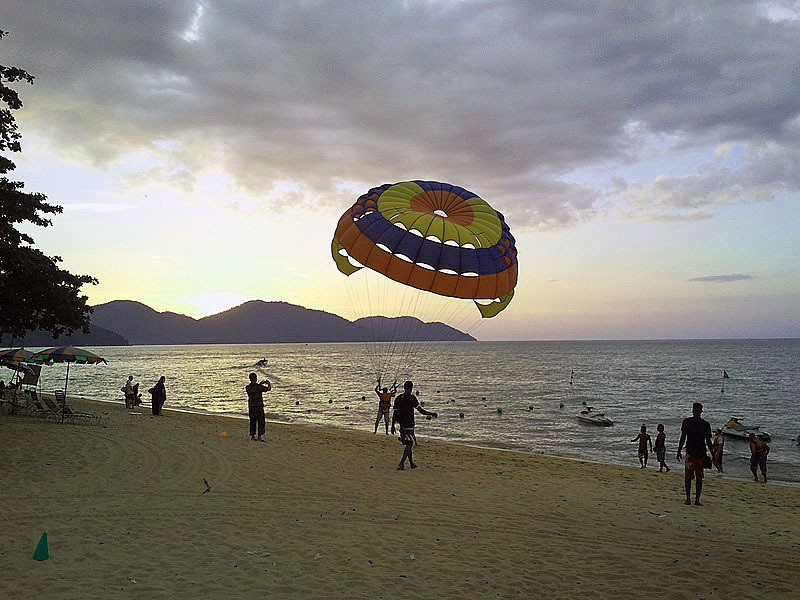 Finally, when it is time to come down, you will have to yank the side of your parachute nearest the beach to lower yourself gently onto the sand. Use a mounted water proof camera to record the experience. We do not recommend bringing your conventional digital camera or worst SLR camera as it would be difficult to operating in mid air and would not survive the fall if you accidentally dropped this. Otherwise, get someone on the ground to film your take off and soft landing.